What does this definition mean in our daily life? Environmental Justice 101 helps explain the history, core concepts, and strategies of environmental justice through interactive discussions. Location: SE Uplift | 3534 SE Main St.
What does this definition mean in our daily life? Environmental Justice 101 helps explain the history, core concepts, and strategies of environmental justice through interactive discussions. Participants will learn about the evolution of the environmental justice movement in the United States, Oregon, and California. The session will also feature environmental justice organizations advancing solutions at the local and state levels. Participants will learn about environmental justice movement building strategies, setbacks, and successes. Participants will also learn about “coping mechanisms” for environmental justice movement leaders and allies. The third session will provide an inside look into current priorities on environmental justice including air pollution and climate change. Participants will also have the opportunity to compare and contrast environmental movement and environmental justice. Week 4: How do I fit into the environmental justice movement in Oregon? Environmental justice movement leaders have succeeded in creating environmental justice policies, programs, and positions. Some elected officials in Oregon now name environmental justice as priorities in their campaigns. What are some ways to support the environmental justice in the workplace? In government? In business? In philanthropy? Sam Diaz serves as the Director of Community Engagement at 1000 Friends of Oregon, a statewide organization advocating for equitable and sustainable land use decisions. 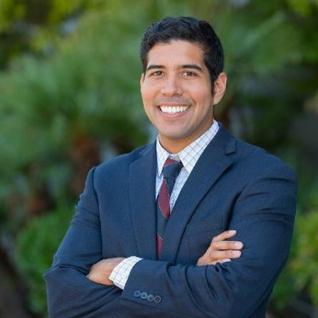 Previously, he served as Program Manager at Resources Legacy Fund, an environmental conservation philanthropy serving Western North America, and as Senior Intergovernmental Program Analyst in California Governor Brown Jr.’s Administration.